Multi-Glaze one year Paint Sealant is made exclusively for Clean Image to our own specifications. Multi-Glaze offers exceptional protection and an exceptional shine. Priced just £30.00 and guaranteed for one year, Multi-Glaze is exceptional value for money and is perfect if you don't get time to regularly wax your car but are not sure how long you will keep your car. Multi-glaze is available as an Extra with both our Bronze Valet and Silver Valet. 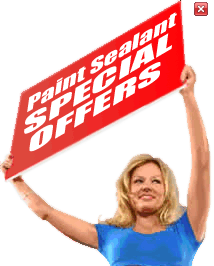 Our Flagship paint sealant. Exceptional protection from a single application. with 3 year guarantee on paintwork and upholstery.